Cluster-based Energy aware Virtual Ring Routing (CLEVER) is an energy-aware routing protocol for randomly deployed heterogeneous Wireless Sensor Networks (WSN). It proposes a novel clustering scheme where each cluster is made up of energy-powerful nodes at the range of each others. This strategy restraints the use of energy-constrained nodes to the areas that are uncovered by clusters in order to extend their lifetime. In our previous work we have evaluated CLEVER over a small network and with medium scale simulations that have shown the drastic improvement of the network performance. In this paper, we propose an analytical study of CLEVER that estimates the number, the size of formed clusters as well as areas that are only covered by weak nodes. This provides an accurate study of the protocol performance when the number of nodes increases significantly and also when the surface area of our network becomes extremely large. Our proposed study have proved that CLEVER exhibits significantly good performance. 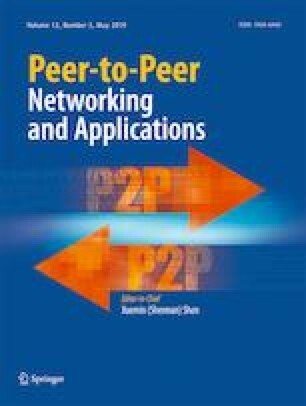 We thank Dr. Wassef LOUATI for assistance in our proposed protocol CLEVER: Cluster-based Energy-aware Virtual Ring Routing.